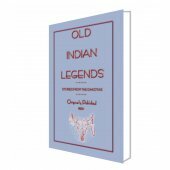 This 260 page volume contains 84 stories about Bushman Myths and Legends, including interpretations of the natural world, animal fables, the story of the first man, and customs, superstitions, and more. There are stories about girls and frogs, hyenas that seek revenge, the wind, and the making of arrows. Unusually there are also stories about the origin of the stars Sirius and Canopus, the treatment of bones, prayers to the moon, and a man who mistakenly ordered his wife to cut off his ears and more. 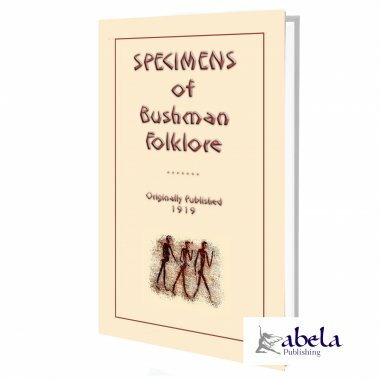 Specimens of Bushman Folk-lore was published by Dr. W.H.I. Bleek only after hed overcome many great difficulties (and great they were in late 1800s South Africa).  So complete is this volume that Dr. Bleek even provides explanations on how to make the many click sounds that are endemic to the Bushman language. Good luck wrapping your tongue around them! Of special interest is the story of one Bushmans first ride on the train from Mowbray to Cape Town, which describes his treatment at the hands of the local police and the imposition of the white mans laws upon him and his people. Over 100 years later the old adage Everything changes, Everything stays the same comes to mind. So curl up with this treasure of ancient Africa, this documentation of a changing world, and engross yourself in a culture that still has no place for MP3 players, video games, television or radio. 33% of the Publishers profit is donated to the Westville Boys High Scholarship Fund in KwaZulu-Natal, South Africa which enables gifted but underprivileged South Africans to obtain a first class High School education. NOTE: Rock art and archaeological evidence indicates that the San Bushmen once occupied countries as far north as Libya, Egypt, Sudan, and Ethiopia, with some evidence of occupation in Kenya. Over time, environmental conditions and the expansion of the Negroid races pushed the Bushmen further and further southtoday, they can now only be found in the countries of Southern Africa. Even now, the Bushmens traditional way of life is further threatened by government regulations and policies that seek to restrict their nomadic tradition and encourage them to assume a more pastoral lifestyle. My mother was the one who told me that the girl arose; she put her hands into the wood ashes; she threw up the wood ashes into the sky. She said to the wood ashes: "The wood ashes which are here, they must altogether become the Milky Way. They must white lie along in the sky, that the stars may stand outside of the Milky Way, while the Milky Way is the Milky Way, while it used to be wood ashes." They (the ashes) altogether become the Milky Way. The Milky Way must go round with the stars; while the Milky Way feels that, the Milky Way lies going round; while the stars sail along; therefore, the Milky Way, lying, goes along with the stars. The Milky Way, when the Milky Way stands upon the earth, the Milky Way turns across in front, while the Milky Way means to wait(? ), While the Milky Way feels that the Stars are turning back; while the Stars feel that the Sun is the one who has turned back; he is upon his path; the Stars turn back; while they go to fetch the daybreak; that they may lie nicely, while the Milky Way lies nicely. The Stars shall also stand nicely around. They shall sail along upon their footprints, which they, always sailing along, are following. While they feel that, they are the Stars which descend. The Milky Way lying comes to its place, to which the girl threw up the wood ashes, that it may descend nicely; it had lying gone along, while it felt that it lay upon the sky. It had lying gone round, while it felt that the Stars also turned round. They turning round passed over the sky. The sky lies (still); the Stars are those which go along; while they feel that they sail. They had been setting; they had, again, been coming out; they had, sailing along, been following their footprints. They become white, when the Sun comes out. The Sun sets, they stand around above; while they feel that they did turning follow the Sun. The darkness comes out; they (the Stars) wax red, while they had at first been white. They feel that they stand brightly around; that they may sail along; while they feel that it is night. Then, the people go by night; while they feel that the ground is made light. While they feel that the Stars shine a little. Darkness is upon the ground. The Milky Way gently glows; while it feels that it is wood ashes. Therefore, it gently glows. While it feels that the girl was the one who said that the Milky Way should give a little light for the people, that they might return home by night, in the middle of the night. For, the earth would not have been a little light, had not the Milky Way been there. It and the Stars.